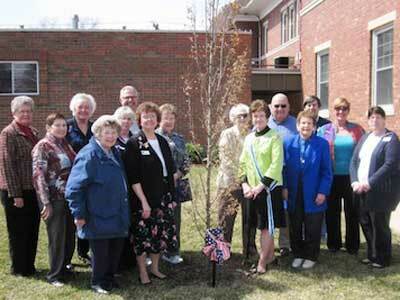 Pamela Bork, State Regent 2013-2015, members of the Princeton chapter, and city officials, dedicated an Anniversary Tree on the lawn of the Princeton City Hall. 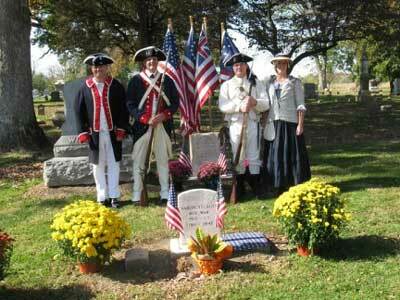 The tree commemorates the signing of the U.S. Constitution, War of 1812 and founding of Bureau County. 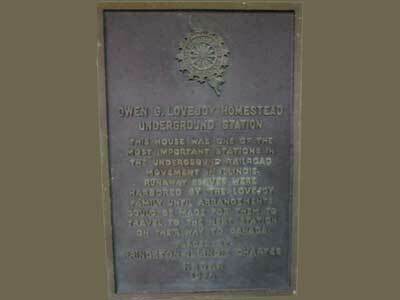 Sturges Marking at Mt. Bloom Cemetery, Tiskilwa. 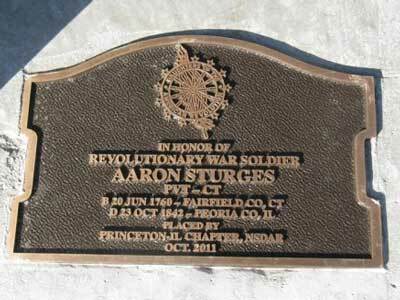 Marker for Aaron Sturges, Revolutionary War patriot, who joined the Connecticut forces before he was 15. 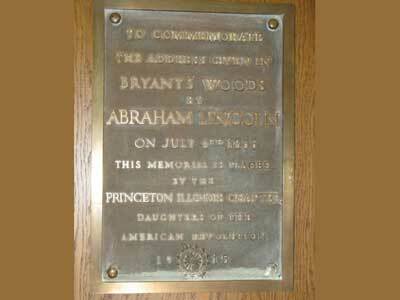 He became a fife, survived Valley Forge and the Battle of Monmouth, and then moved to Tisilwa, Illinois. 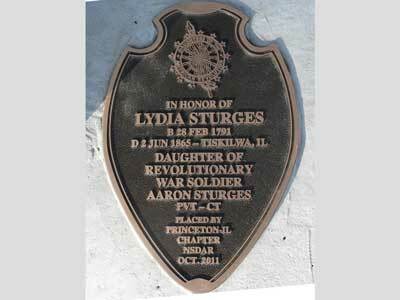 Marker for Lydia Sturges, patriot's daughter, who worked and died in Tiskilwa, Illinois. 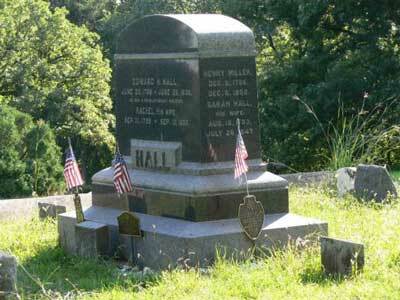 Cemetery monument for the Edward Hall family, buried in Miller Cemetery, Spring Valley, Illinois. 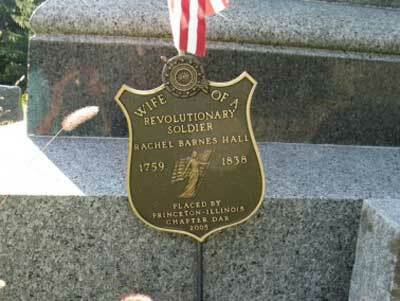 Marker for Rachel Baines Hall, wife of North Carolina patriot, Edward Hall, placed in 2005. 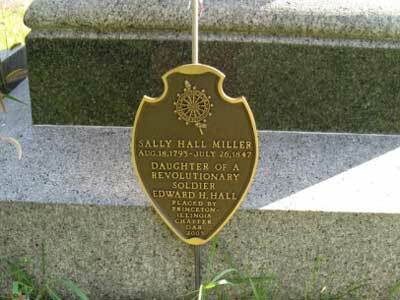 Marker for Sally Hall Miller, daughter of North Carolina patriot, Edward Hall, placed in 2005.